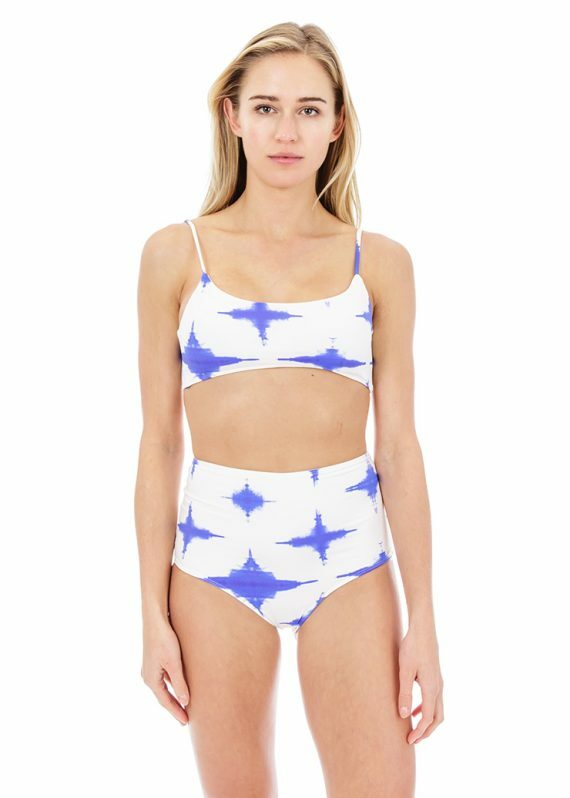 The Sunshine bottom by Paper London is offered in a fresh, blue and white tie dye print. This flattering high waist bottom is double lined for extra support and provides for full rear coverage. Made from sustainable, recycled products that offer sun protection!